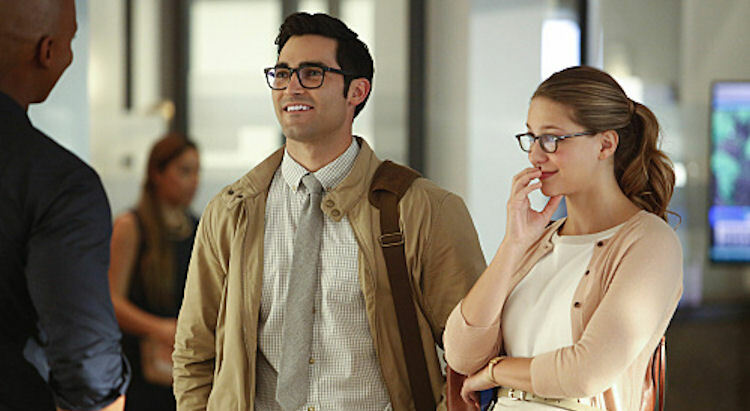 For much of its premiere episode, Supergirl the series and Supergirl the character were on parallel paths. Kara’s boss, Cat Grant, was constantly quizzing Kara about the role she wanted to carve out for herself; what she wanted to be. With a move to a new network and a rather famous guest hero in the season premiere, many of the same questions could be asked of the series: What does Supergirl want to be? It took a while for Supergirl to find its footing in its first season but, once it did, the show became the light, breezy alternative of the televised superhero world. It had occasional flaws, but the fun factor managed to overcome Kara mooning over every boy she met, as well as the occasionally cheesy effects. The move to The CW paired with the showrunners playing the Superman card in the first episode didn’t exactly feel like a vote of confidence in the direction Supergirl went last season on CBS. Thankfully, the writers resisted the temptation to change the tone of the series. Through the litany of Superman: The Movie callbacks to the sunny interior spaces, this is still the upbeat show fans grew to enjoy. Superman didn’t even overshadow his cousin. Although Supergirl and Superman teamed up on a few rescues during the episode, National City is very much a Supergirl town. He played second fiddle to her and was just fine with it. Speaking of Superman, it was nice to see a more classic representation of the character again. Tyler Hoechlin’s Man of Steel smiled and bantered with people. When he had a disagreement with Hank (Martian Manhunter), they talked it out like civilized extraterrestrials, instead of beating each other until they realized their moms had the same first name. Despite the occasional diversions, the focus stayed squarely on Kara, which was a relief. Supergirl really felt like it was in danger of falling down the same dark hole The Flash did in its second season, when the joy of discovery was replaced with moody melodrama and a river of tears from the title character. While Kara is more comfortable in the cape, at this point, she still doesn’t feel right in her own skin. With her relationship with Jimmy re-entering the “will they, won’t they” orbit and Kara somehow transforming a job writing down lunch orders into a reporter gig at a national magazine, Kara is going to be an adorable mess with a solid support system, so there’s no need to worry the show will go dark to stay interesting.